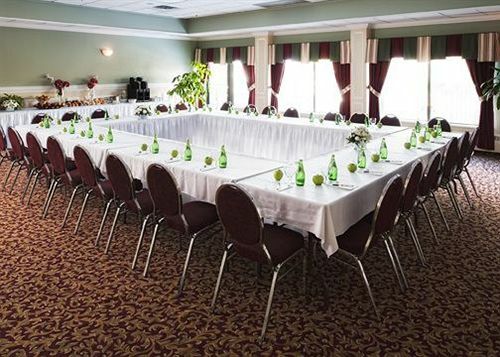 Quality Inn Halifax Airport Make your day hotel stay enjoyable and comfortable by booking your day stay at Quality Inn Halifax Airport. Tired and hungry from traveling? This transit hotel is perfect for you. Munch on delicious food from the on-site restaurant, cafeteria, or room service. Take a swim in either the heated indoor or outdoor pool, and grab some drinks with friends at the evening bar. Catch up on your work at the business center before relaxing in your room’s spa tub, searching the internet via the hotel’s complimentary wifi and wired internet, and then taking a well-deserved rest in your comfy bed. In addition, coffee is always at your fingertips, since it is conveniently provided in the coffee shop and common areas. 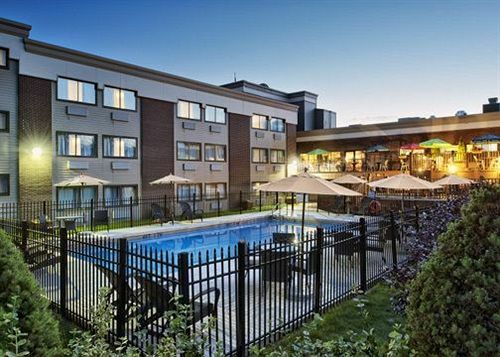 Remember to book a daycation at the Quality Inn Halifax Airport! Atlantic Canada Aviation Museum – Being the only museum that prioritizes the preservation and presentation of all aspects of Atlantic Canada’s aviation history, this Canadian aerospace museum is a must see. Just a five-minute stroll from the Quality Inn Halifax, there is nothing preventing you from enjoying this historical time capsule. Sweet Spot Chocolate Shop – It says it all in the name. This quaint shop features all in-house made chocolate treats that leave you wondering how you ever lived without them. We advise that you buy in bulk and take some home. In fact, they even take custom orders so it makes for the perfect place to get gifts! It is a must stop shop for anyone with a sweet tooth. Oakfield Provincial Park – Take advantage of a midday adventure at the Oakfield Provincial Park. If you are interested in taking a stroll, having a picnic, going for a swim in the lake, or taking a boat on the water, this park is the perfect setting. Don’t miss out on the fun, make sure to incorporate it into your next daystay. 1. Parking and Transportation - Complimentary parking is available to all guests of the Quality Inn Halifax Airport. A free airport shuttle is provided to and from the Halifax Airport. 2. Fitness Center - During your daystay you don’t have to worry about missing out on a workout. All guests have access to the hotel fitness center equipped with an elliptical, treadmill, stationary bike and weight machine.